”He’s The Moon In Spain” is a haunting, powerful, romantic ode to a love lost. 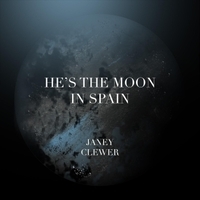 Janey Clewer is an accomplished singer/songwriter. “Beautifully Broken”, her 12th album, begins with this first single, “He’s The Moon In Spain” featuring the incredible violinist Desislava Kondova.